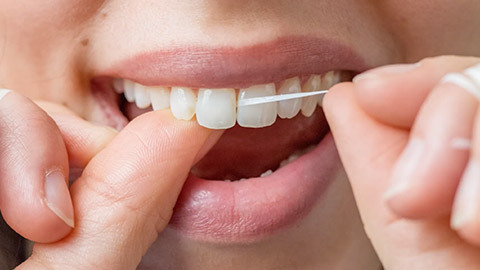 Daily brushing and flossing is important, but not the only part of good oral hygiene. It’s also crucial to visit Dr. Ronald L. Sudomir and his team for regular oral hygiene care. Thorough cleaning, inspection, and preventative maintenance are what you will receive from these appointments. Our friendly dental hygienists will "scale" your teeth — removing tartar build-up — and polish the surface, which will remove minor stains. You may also receive a fluoride treatment to help fight decay. Soprolife Caries Detection: Early detection of tooth decay is crucial to providing the best care and avoiding possible extraction. Soprolife uses auto fluorescence technology to detect decay that remains undetectable to the naked eye and even to x-rays. Magnification loupes: These are most easily understood as being like a traditional magnifying glass without the arm. This allows the dentist to not have to rely on their nakedeye vision, which even in the best of cases can miss small details. Regular oral hygiene visits with Dr. Ronald L. Sudomir’s team allow us to spot problems and take action immediately — preventing the issues from getting worse. Contact us today to schedule an oral hygiene visit today, or to learn more about our oral care program.